Events are our speciality, and you'll find that we can apply our services to any event, big or small. If you don't see your event listed here, just give us a call and we'd be glad to set you up. When it comes to sporting events, Indianapolis is bound to have something going on! You might know the city as a major automobile racing center. This city is home to the Indianapolis 500, the premiere event in car racing. Your adrenaline is bound to be pumping while you bet on who will win! We’re here to make the experience even better. When you take a limousine to a sporting event, you’re getting rid of a lot of the worries that go along with an event. Forget about designated drivers, fighting the crazy traffic or paying an arm and a leg for parking. We’ll take care of all of the stress while you sit back and relax. You can’t go wrong with bar hopping in Indianapolis! The electricity of the city makes for a great time, every time. You’re guaranteed to have a great time when you’re visiting all the best hot spots, and don’t worry if you’re not sure where to go, our chauffeurs know all of the best places! You won’t have to worry about finding a designated driver and you and your guests will be turning heads wherever you go. Our limousines are guaranteed to make this fun event even better! This is one of the most special events of your life, so make sure that you’re putting your trust into good hands! We’re known to be the best transportation for weddings in the area when you match our elegant vehicles to our trustworthy services. After all, the last thing you want is to be late for your wedding at the hands of someone else! When you book with Indianapolis Limo, you’re assuring that your wedding day will begin and end with supreme comfort. Let the wedding bells ring with Indianapolis Limo! Read more about wedding planning tips and ideas from Indianapolis Limo. Proms and homecomings are special events in both you and your child’s life! They’re growing up fast, and you want to keep them as safe as possible during the teenage years. You can trust Indianapolis Limo to transport your precious cargo from point A to point B as safely and efficiently as possible. Your child will think you’re the coolest parent ever for renting them a luxurious limousine, and you’ll be happy knowing they’re completely safe with our professional chauffeurs! Not to mention our vehicles are maintained regularly and insured, so you’re making the right decision when you choose us! One of the things that Indianapolis is known for are the Indy 500 races, as well as the Brickyard 400 and many other races that happen throughout the year. If you've never bee, you simply have to check out the Indianapolis Motor Speedway when there's an event going on! There's truly no better option for pumping up the adrenaline in the Indianapolis area. We're certain that you're going to have a memorable time at the race track, especially when you decide to use one of our vehicles to accommodate your experience. Planning your wedding? 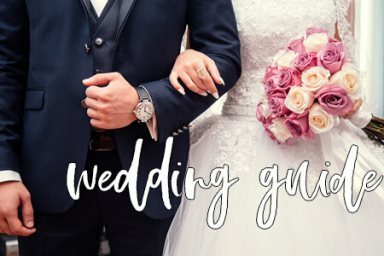 Check out the tips in our wedding planning guide!